Earlier this month, we all were flabbergasted and astounded when the FCC documentation for the Motorola Moto E4 Plus revealed that the phone would carry a 5000mAh battery. While Motorola has shoehorned high capacity batteries into past DROID models, this would be the largest battery every carried by a Motorola handset eclipsing the 3900mAh cell found on the Motorola DROID Turbo. And the Moto E4 Plus, unlike the DROID Turbo, is far from being a flagship model. 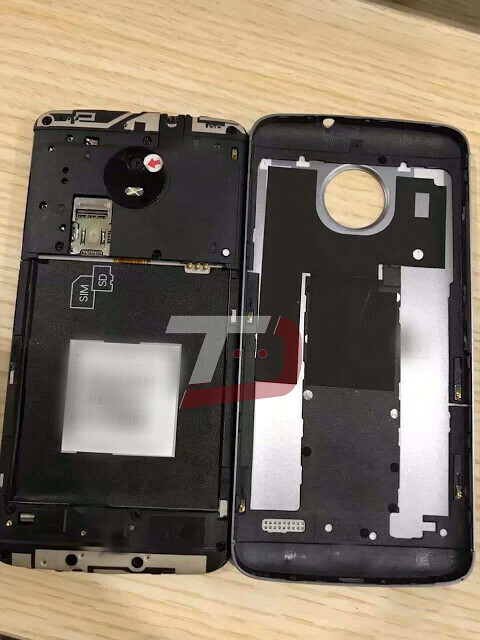 Images of the Moto E4 Plus were discovered today, and one picture shows that the back cover is removable. This would allow users to swap out a dead battery for a fresh one. Besides the huge cell, the Moto E4 Plus is rumored to carry a 5.5-inch screen with a 720 x 1280 HD resolution. Powering the handset will be the MediaTek MT6737M SoC containing a quad-core 1.3GHz CPU, and the Mail-T720MP2 (600MHz) GPU. It will come with 2GB/3GB of RAM and 16GB of native storage. The Moto E4 Plus is said to feature a 13MP rear-facing camera with a 5MP camera in front for snapping selfies and handling video chats. Android 7.1.1 is pre-installed. The phone is expected to launch first in Europe before making its way to other regions. It is expected to be priced at the equivalent of $207 USD. 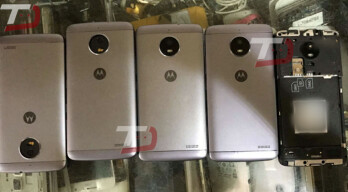 Check out the leaked photos of the Moto E4 Plus by clicking on the slideshow below.